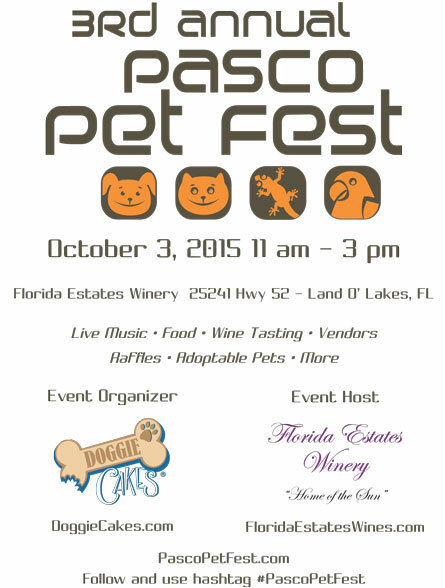 Doggie Cakes is hosting Pasco Pet Fest, on October 3rd, 2015 – an annual event, with expected attendance of 1,000 to 2,000 people. The festival promotes adoptable pets in Pasco County, FL and surrounding areas. All of the proceeds will be donated to a local 501c animal rescue, Pit Bull Happenings Rescue, Inc. Many other rescues will attend at no cost, and will have opportunity to solicit donations and to promote their adoptions and programs.